Pillars of Eternity II: Deadfire launches today, the next in an ever-growing line of masterful cRPGs that have come our way in the last several years. Obsidian Entertainment has brought gamers a sparkling new cRPG that both expands the Pillars universe and provides fans with exciting new ways to play this most-beloved genre. Let’s say this plainly: Deadfire offers ample proof that epic single-player games are absolutely worth making. 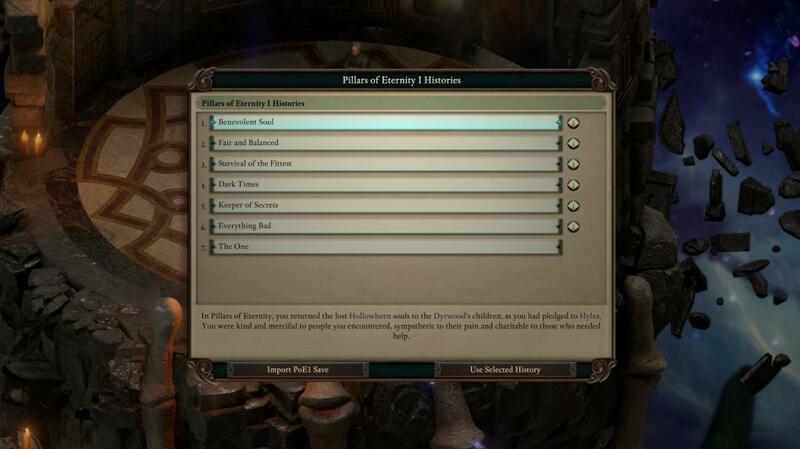 I’ll begin this with a quick note to anyone who has played Pillars of Eternity I: If you loved your experience in PoE1, you will love what you find in Deadfire just as much. There’s nothing stopping you from leaving right now to go and buy the game or to start playing if you already preordered. You’ll pick right up where you left off with a familiar interface, combat style, party management, and even some of your old favorite companions (depending on your particular game ending). In fact, you can import your saved game or, if you’ve lost the files, you can literally recreate every moment of your playthrough, or even change certain outcomes, when you begin Deadfire. There is a VERY robust tool to do just that, in fact, or a simpler one that provides you with several options without going into all of the nitty gritty detail. I would have to say that if I had one criticism about Deadfire that is bigger than the usual small annoyances created by bugs, it’s that Deadfire is almost too much for a new player to the Pillars universe. If you haven’t played the first game and White March, I would heartily recommend that you do so first. The denizens of the Deadfire make liberal use of your decisions when providing insight for quests and will often comment on your earlier exploits. If you are flying by the seat of your pants and using one of the backgrounds above or have attempted to create The One where you make all of the decisions, you will be lost most of the time. It’s not game breaking by any stretch, but it does make you want to know why people say those things and why it is that they’re so affected by the things your character has done before. I put myself in this category, for the record. I never made it far in PoE for myriad reasons. Consequently, I have found myself bewildered a bit by all the references to the past. In fact, my time in Deadfire has definitely made me want to go back and replay from the beginning and keep going until all of the three DLC are complete too. Quite frankly, it is just that good. There are a lot of great things in character creation. For those who love to nitpick their characters to the nth degree, Deadfire has you covered. 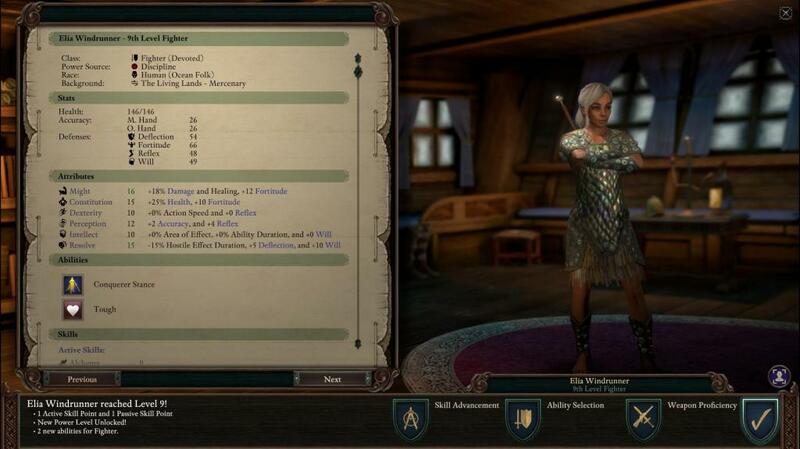 There are six races, each with a series of sub-races that provide stat bonuses and unique appearances. There are eleven single classes and a large number of multiclass options too. There is also a “culture” portion of character creation that defines your character’s heritage and that can also provide boons. Of course, you’ll also have to choose a background as well as weapon proficiency all before you refine the look and voice of your character. In short, you can play and look pretty much any way you want and you will find success. Many of the same options are also available when it comes to your party members. You’ll pick up a number of familiar companions along the way as well as new ones arriving just for Deadfire. Each one provides the option to be made as a single- or multi-class character with their own abilities, proficiencies, etc. Again, this allows you a vast amount of flexibility when it comes to the way you want to play. All this is great for people who revel in the cRPG fighting style and who love to micromanage every second of the strategic gameplay that Deadfire offers. Combat is both strategic and interesting that can also be tailored to your particular style. There are a number of pause options including when an enemy or item or trap is spotted, on combat start and so on that give you time to think and plan. Combat can also be paused “at will” if the player wants to move the party to better position or to choose abilities to hurl onto the battlefield. One of the best features outside of all that’s mentioned above, is the opportunity to super-charge an ability in order to make it hit harder or heal more or provide more protection, depending on the ability used. This is absolutely crucial in tough fights and something to be prudently used at strategic moments. Combat VFX are simply beautiful and have been retooled from the ground up. At times when my character, a greatsword wielding fighter, would land a critical hit, my opponent would literally explode into chunks of meat. When Xoti, one of the game’s new companions, would cast an AoE spell, the warm glow of the blue dome we all healed beneath was beautiful. And let’s not forget those Wizard and Cypher spells blazing forth in monumental glory…though I would caution you about those damage spells, particularly AoE, as there actually is friendly fire, something my party often found to their detriment. By the way, companion AI has been vastly improved in Deadfire. Your peeps don’t stupidly rush in, usually stay in formation (thanks to improved pathfinding) and manage to use appropriate spells for the battle at hand. You’ll be able to unleash them to act on their own, manage some aspects of their strategy or manage every minute detail. The choice is yours. 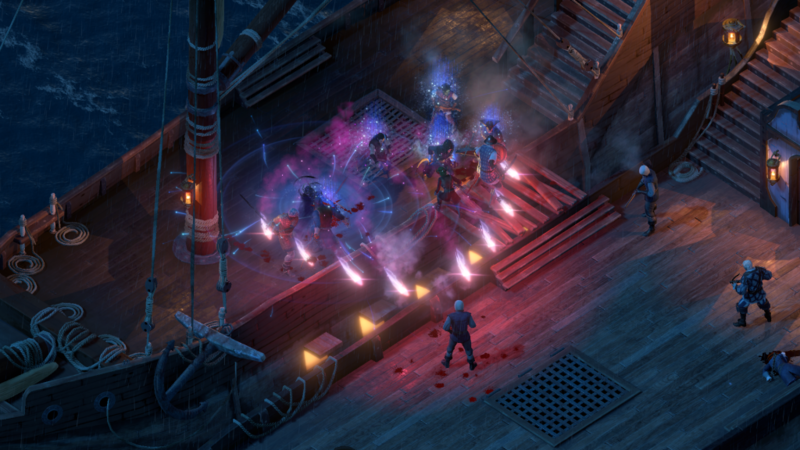 Of course, one of Deadfire’s new signature features is the ability to take part in ship to ship combat as you ply the seas between the islands of the archipelago. This alone provides you with hours and hours of a satisfying minigame and a whole new way to participate in a cRPG. Combat during ship battles isn’t actually shown, as in you do not see your ships. Things take place using turn-based combat and via a “journal” similar to the encounter journal during land-based activities. I personally found it a bit clunky in trying to gauge the position of my ship in relation to my opponent’s but that was mostly a function of getting used to it. I was almost tempted to use two objects on my desk to better visualize ship positions in order to make better choices. Often times, my own frustration with myself over the lack of ability to understand positioning meant that gave up distance combat and just pointed the bow at the enemy, went to ramming speed and engaged in deck-to-deck combat instead. This is, obviously, a much more familiar way to fight! I wasn’t always successful this way, but it was fun. As I strengthened my ship(s) with a better hull, sails, canons, weaponry and had a more seasoned crew, I found myself really enjoying it a lot and found it a nice diversion from land-based activities. As you pillage the high seas, you’ll gain reputation with the game factions: Huana, Valian Trading Company, Royal Deadfire Company or Principi sen Patrena the same way you do on land. Each, of course, wants a “piece” of the Watcher. You can curry favor with some, none or try to manage all of them. Of course, most of their ideas compete with one another, so it’s a delicate dance. You’ll also win gear for yourself, your ship and your party, and can even share the money gains with the entire crew. Doing so boosts morale and each win gives everyone some experience to be better prepared for the next fight. They say you should save the best for last and this review does so. To put it simply, the story in Deadfire is top notch. It weaves a delicate, intricate web of interconnected stories and populates it with meaningful, memorable characters. Some of the smallest parts will make the deepest impressions. A talented crew of voice actors has brought nuance and depth to the characters they portray, whether the hardest soldier or the weakest beggar and everyone in between. Even the “side quests” are difficult to separate from the “main quest”. Each one ties in beautifully to the whole and nearly all offer more insight into who you are, why you’re here and offer insight into the denizens of Deadfire. I’m not going to go into detail about the story behind Deadfire. Truthfully, that is something best discovered on your own. Visually, Deadfire is beautiful. The water brings up the Caribbean when sailing about as it goes from deep blue out in the depths to pale turquoise close to land. Waves slap the sides of your ship. Dust puffs up around the feet of your party. Sand falls from tall obelisks. Lightning arcs out of the night sky and so much more. Add in some nice new, handcrafted integration between 2D and 3D elements and you have a visual presentation that is easy on the eyes and breathtakingly beautiful. The music adds just as much to the game as the visuals. There are over 90 minutes of fully orchestrated music, including 30 minutes of traditional sea shanties, in Deadfire and I have yet to find a tune I haven’t loved. Each piece is placed in the right spot and offers even greater immersion to players. The ambient sounds add to the immersion with birds chirping in the trees, waves slapping against a ship’s hull, thunder rumbling from the skies and sparks popping from a campfire. Honestly, this review could go on for another few thousand words and it still wouldn’t be enough. There is so much to Deadfire that it’s hard to do it justice. The best advice I can offer is to get in there and play for yourself because at just over 30 hours of time in Pillars of Eternity: Deadfire, I feel as if I’ve barely scratched the surface and I genuinely can’t wait to get back to the archipelago. 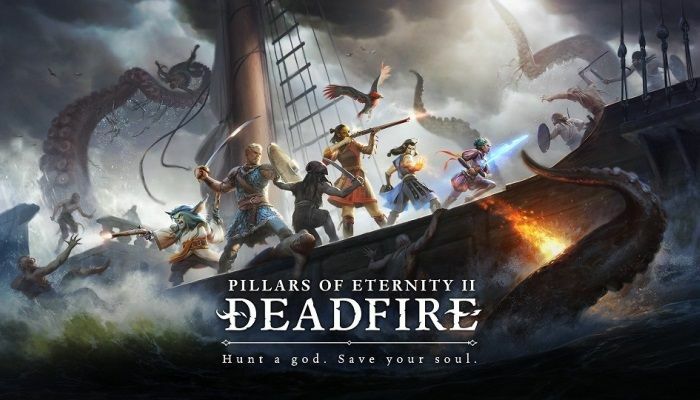 If you’re looking for the next, and perhaps greatest, grand cRPG; if you’re aching for an epic single player adventure; if you’re seeking a setting outside the norm; if you’re hoping for a story that takes you in and hangs on, Pillars of Eternity II: Deadfire fills the bill. It is something special, something you’ll want to play again and again and is a game that will undoubtedly be remembered as one of the genre’s best. Reviewer’s note: In nearly a decade writing reviews, this is the first time I have given a perfect score to a game. It feels odd, but it is well-deserved. This review was accomplished through a copy provided by the publisher. 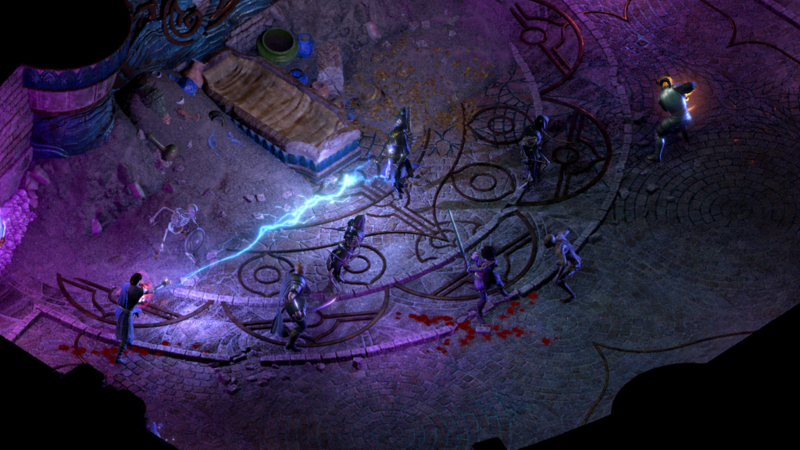 Pillars Of Eternity 2: Deadfire Gets New Update! Pillars Of Eternity 2 In Development!